If you're looking to build upper-body strength, you've probably already started with some weight training. But the problem is that many people don't know how to approach strength training properly, and they miss building the muscle mass they desire, and even injure themselves. So we've compiled a list of tips and tricks to help you get the most out of your arm workout. These tips aren't just about maximizing muscle or getting ripped quicker; they're about building a routine that will continue to improve your arm strength and helping you find a good balance in your diet and exercise that can lead to a healthier life. Your workout doesn't have to stop once you leave the gym. 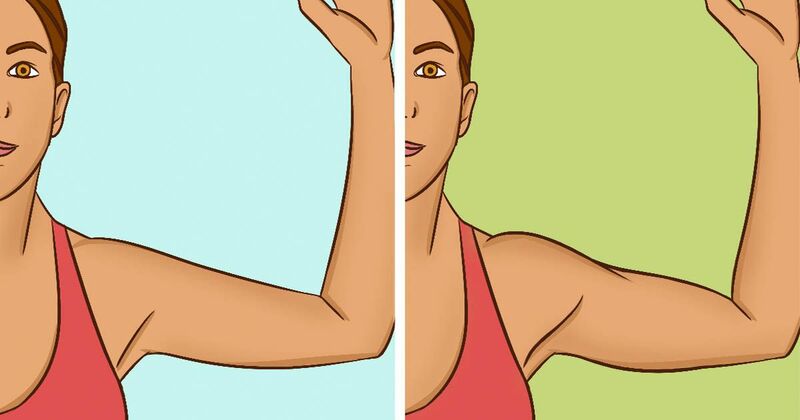 To squeeze in some extra workouts, Shape suggests gripping your hands at 3 and 9 o'clock on your steering wheel and then pressing your arms outward. Hold this for 10 to 20 seconds to build strength in the back of your shoulders. Press your arms inward to build strength in your chest. You might think picking up a heavier weight will help you build muscle quicker, but Bodybuilding.com says you might be doing the opposite. If your weights are too heavy, you're more likely to use your back and hips to help swing the weight in a rep, so instead stick to weights that your body can handle. You'll keep the tension on the arm muscles you're targeting. Swimming is an incredible way to work out your body because you're using all your muscles to propel yourself through the water. So if you're looking to get some of those great swimmer arms, Shape suggests jumping in the pool. Freestyle and backstroke are essentials here, but if you're feeling strong, give butterfly a try. This stroke works out not only your arms but your core, too. When you're building muscle, you need energy to do it, so LiveStrong suggests stocking your home with healthy foods to jump-start this process. Fill up your fridge with fresh lean meats and veggies, and don't forget to grab some whole-grain bread. LiveStrong also suggests eating a bunch of small meals throughout the day to keep your blood sugar up and prevent overeating later. Bodybuilding.com says it's important to keep your muscles on their toes -- and you can't do that if you're always lifting the same weight with the same reps. So to maximize muscle build, look for the opportunity to increase your reps or add a few extra pounds if you notice your body finds it easier to lift. 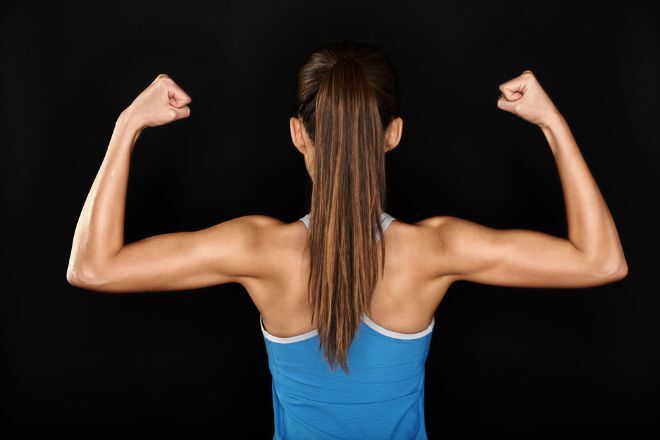 By getting your muscle fatigued, you're helping it grow stronger. Shape reminds us that yoga isn't all about meditating; it's also about flexibility and strength. So incorporating some moves like downward dog or side plank can really amp up your workout routine. Cardio is an amazing way to burn off fat and get your heart rate up. LiveStrong suggests adding at least 30 minutes of cardio to your workout to help burn fat and build muscle. You also don't have to stick to running; take a group fitness class, or even jump on the stationary bike. And, like Tip 5, switch up your cardio like you switch up the weights to keep your body consistently improving. When working out, especially with weight and strength training, it's important to make sure you have proper posture. If you're hunched over or using strength from your back to help with the weights, you can cause serious strain that can lead to real injuries. Bodybuilding.com's great tip to amp up your arm workout is to give your muscles a little extra squeeze at the top of each rep. This will increase the length of the rep and therefore extend the tension and muscle building. Shape also reminds us you can get some great workouts done right from home if you have the right tools and knowledge. Waking up and doing some yoga, grabbing a resistance band and working your arms or even sitting on an exercise ball at work are all great ways to keep your body active outside the gym. It's about getting creative and committing to your workout.